Marion Poirier and Ann Kelminski are two of 159 Hawaii women who participated in a national preventative cancer study known as STAR. Two drugs studied in a national clinical trial including Hawaii participants were equally effective in reducing risk of invasive breast cancer in postmenopausal women, the National Cancer Institute reports. Both tamoxifen (sold as Nolvadex) and raloxifene (Evista), reduced the risk by 50 percent, the NCI said. But raloxifene participants had fewer side effects than those taking tamoxifen, plus fewer uterine cancers, blood clots and cataracts, according to initial results. Both drugs increase a woman's risk of blood clots but those randomly assigned to raloxifene had 36 percent fewer uterine cancers and 29 percent fewer blood clots than women taking tamoxifen, the institute said. The Cancer Research Center of Hawaii participated in the clinical trial with 159 volunteer women. Marion Poirer, 65, one of the participants, said the results "are really exciting because everybody in this study had an equal effectiveness rate of stopping further cancer risk." The women were given a cardboard box with two bottles of medicine, she said. "One said tamoxifen or placebo. The other said raloxifene or placebo." Every woman took two pills daily; one a placebo and one of the drugs. They're receiving information now on which drug they were taking. Those who were assigned to tamoxifen have the option of switching to raloxifene if they haven't finished the five-year study, said Ann Kelminski, registered nurse who is both a participant and coordinator of the STAR (Study of Tamoxifen and Raloxifene) program in Hawaii. Poirier, only three years into the study, just learned she was taking raloxifene. She said she has had "zero" side effects and received a lot of health care through the program, including physical exams every six months. She has health insurance and sees doctors regularly, she said. "But for people who don't see doctors as much, that study would enable them to have health care they might not have themselves or been able to afford. "It's great that it was done and we had that opportunity (to participate)," said Poirier, nurse executive director at NAMI Oahu. She said her doctor suggested she consider the STAR study because she is at high risk for breast cancer and "both medications were excellent choices, both in terms of osteoporosis for the future and for cancer prevention." Her late mother had breast cancer in her 80s and had a five-year recovery after a lumpectomy and treatment with tamoxifen, she said. Phyllis Higa, 54, Department of Education speech pathologist, said she heard about the STAR trial in 2002 and signed up because her sister had had breast cancer. Higa has been taking raloxifene and is continuing to finish the study. She said she's had no side effects and the study has been "a very pleasant and enjoyable experience" with close monitoring and professional program staff. Kelminski, who turned out to be taking raloxifene, said she had some "manageable hot flashes and some cramps, nothing of any major proportion." She pointed out that the study is still going on since some women haven't finished taking the drugs for five years. Also, all participants are being followed with examinations for seven years or longer, she said. Kelminski expressed gratitude to all Hawaii participants. She said she's been a cancer nurse her entire career and "working with motivated women to find prevention is almost too good to believe." A total of 19,747 postmenopausal women with increased risk of invasive breast cancer were enrolled in STAR. Of 9,745 women in the raloxifene group, 167 developed invasive breast cancer compared with 163 of 9,726 women in the tamoxifen group. Complete study information on 276 of the participants was not available, according to the NCI. Hawaii participants included 119 representing ethnic minorities, which was a significant contribution, said Dr. Nancy Furumoto, principal investigator for the STAR trial here. More than 93 percent of the participants nationally were Caucasian and all but 2.1 percent of the others were African American or Hispanic ethnicities. » Tamoxifen as been used for more than 30 years to treat patients with breast cancer and is also effective in preventing and treating osteoporosis. » Raloxifene was approved in 1997 by the Food and Drug Administration for prevention of osteoporosis in postmenopausal women and in 1999 was approved to treat osteoporosis. 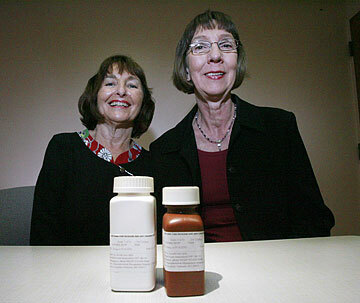 An estimated half million postmenopausal women are taking raloxifene by prescription to prevent or treat osteoporosis.